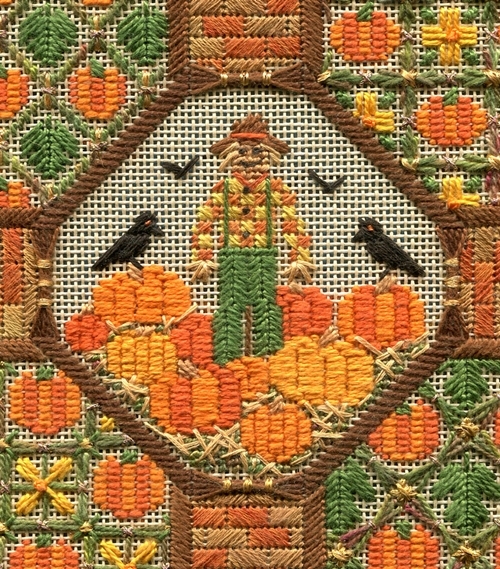 I wanted the outer border to mimic a rustic split rail fence, and that's how I stitched the Woven Border this time. 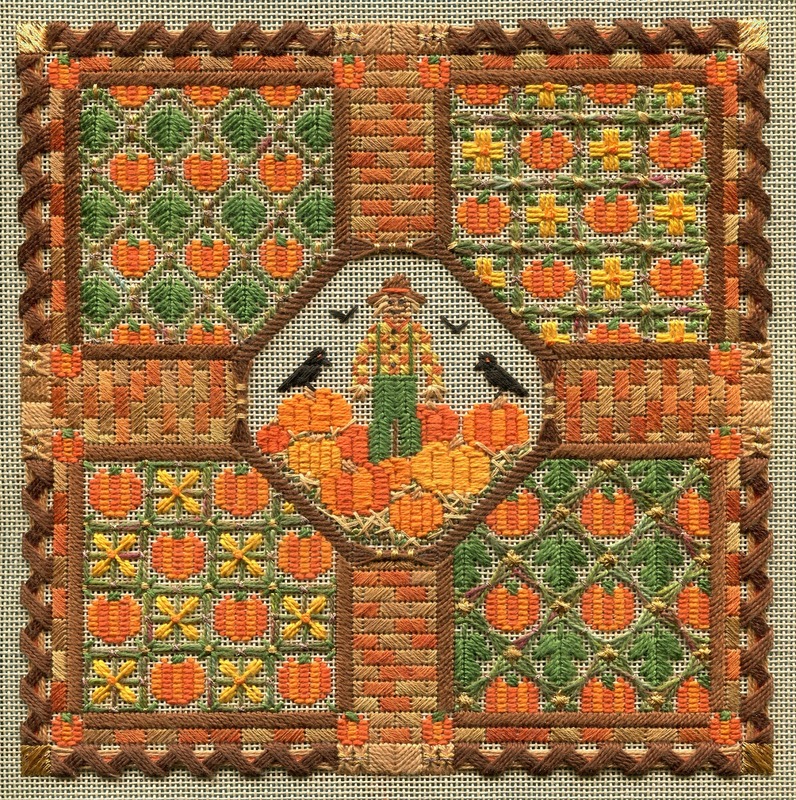 I also had a blast coming up with four different pumpkin patterns to use in the garden blocks -- and you can see that two patterns have yellowy gold pumpkin blossoms in them, while the other two have big glossy leaves -- just to break up all that bright orange. 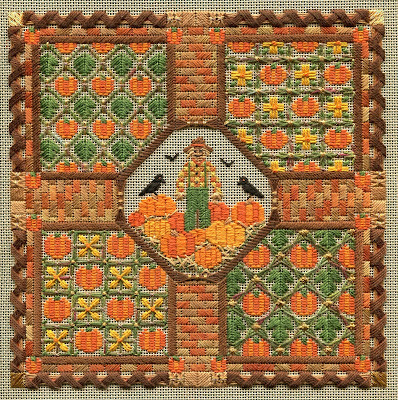 I wasn't sure how small and how many of those tiny pumpkins would fit in the design, but by golly, they stitched up just fine, and the overall effect is just like a field of growing pumpkins! All in all, a very happy piece for the autumn season. So if you'd like to stitch up your own "PUMPKIN PATCH" for this fall season, please mosey on over to my website, www.laurajperindesigns.net, and see all the cyber class registration information.